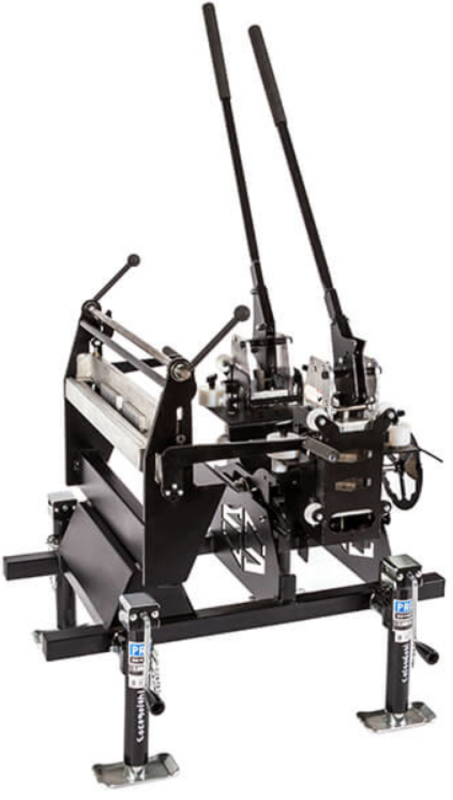 The Eave Master from Swenson Shear can notch and hem panel eaves in seconds. According to the company, it provides a consistent cut on straight runs and is ideal for use on commercial jobs. The Eave Master features an adjustable table to accommodate panel widths between 12 inches and 24 inches. The inch ruler on the notchers allows for an easy-to-measure hem line, and it features quick-change notching station for right and left panel runs. The machine weighs 150 pounds and can be lifted by two people. The Swenson Shear team custom designed the Eave Master for commercial roofing. Just like the SnapTable Pro, this tool can match any manufacturer’s panel profile. 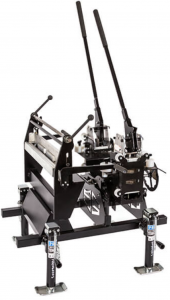 This is the newest tool in the company’s standing seam product line. This specialized product is made with top-of-the line stainless steel metal. “Our goal is to have tools for everyone in the roofing industry that will simplify the work, add safety, quality and value to their team,” said Swenson Shear’s National Sales Manager, Morgan Aue. To see a video of the tool in action, click here. For more information, visit https://www.swensonshear.com/. Swenson Shear releases a Trailer option for the Snap Table Collection. Swenson Shear releases a Trailer option for the Snap Table Collection. The SnapTable trailer is designed as a utility trailer for a multitude of applications. The trailer fits both the SnapTable HD and SnapTable PRO. The SnapTable is removable to be used as a utility trailer. The SnapTable Trailer weighs 2,200 pounds and is 19 feet long, 6 feet tall and 5 feet wide.